There are many reasons new business owners cite as reasons for launching their new food service business. 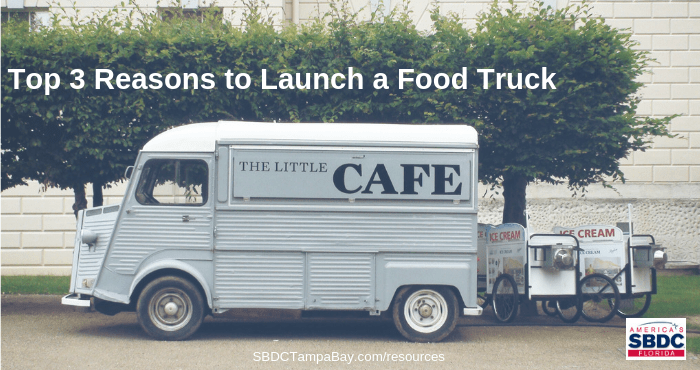 Most of them revolve around passion, access to capital, and organic growth, but there are three main reasons a person may choose to start with a smaller footprint to launch their food business, such as a food truck. Lower capital needs in launching a mobile business. The smaller footprint leads to less fixed costs to manage the business. Most notably is the smaller need for labor in the food truck compared to the brick and mortar model. Establishing your business with a small footprint, such as a food truck, gives you an opportunity to not become over-leveraged. While traveling from event to event, you can potentially test out various areas in your market to determine the best area to eventually establish a fixed location. This allows you to make a more educated decision. You can routinely travel to events, festivals, and establishments that already have a following and customer base, putting less focus on having to drive new customers to your business. 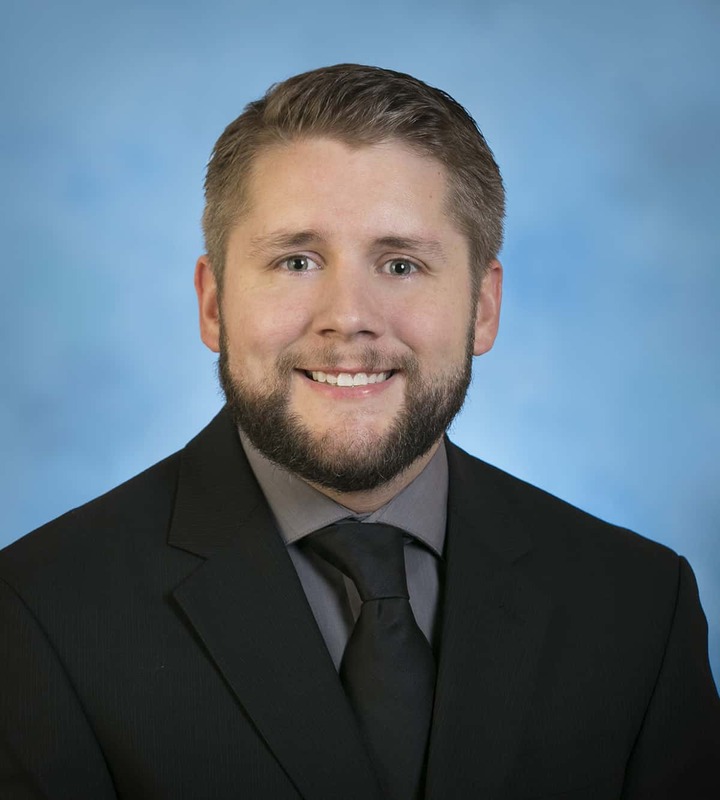 With regards to all food businesses, reputation, consistency, and trust are crucial facets of building a strong loyalty. There are very few industries in which people will wait in lines just to experience what you have. People are passionate about and need food and experiences. Starting your business with a small footprint, such as a food truck, allows you as the owner to have tighter control on the execution of the product served and service given. There is something authentic about meeting the person that curated the meal you are having. It builds an emotional connection and even trust with the customer. Building a loyal following is crucial given that the average transaction is so small. Having a constant flow of customers will be crucial in growing your business. As your following and reputation grow, so does the demand for your product. This allows you to scale your business in many ways, whether it be another truck, a fleet of trucks, catering, or a brick and mortar location. It takes time to build a following. This could allow you the opportunity to do so while mitigating as much risk as possible. Allows the owner to be their own boss and share their passion for cuisine to the masses. This could be your chance to be your own boss and do things your way. Maybe your market does not have the type of food you are passionate about. This could be an opportunity to educate others. Many clients cite their passion for food and/or hospitality as the reason that they believe they were destined to own their own restaurant. While passion is a crucial ingredient in establishing a business that has a soul, having opened, owned, and ran many food service businesses myself, passion is only one of the ingredients needed to open a successful food business. Passion is often the enemy of wisdom. It is important that any business owner properly educate themselves and dedicate effort to proper planning for the business, so as to increase the likelihood of success. You don’t know what you don’t know. While there are many considerations and benefits to starting your food truck business, as a prospective owner about to launch their empire, it is crucial that you put the time and effort into properly planning your business. Every little detail that encapsulates who you are as a business has a cost and has an affect on the chance of success. The food service industry is full of competition, systems to be developed and managed, and often thin margins. If you are able to plan accordingly, and develop a strong team around you, it can also be full of reward and fulfillment. Take your time to conduct the necessary research and educate yourself on what you don’t know.